Typing this, I feel like advertising some brand new nutritional supplement made from an as of yet unheard fruit with exotic super-powers from the Bahamas. This is neither exotic nor new nor as of yet unheard. It's just a combination I threw together the other day, wanting to mingle local super-foods to get a glass full of protein and antioxidants. Somehow things use to get perfect when I just throw them together, and luckily I got accustomed to having pencil and paper ready whenever I run into the kitchen with only five minutes to put something together. The sixth minute ends up being the minute I scribble down what I did. Just let me tell you that broccoli (of which you know that it's good for you) looses its super-power when it gets heated too much. It's an enzyme thing. Enzymes are proteins which are not heat stable. The famous anti-cancer compound sulforaphane is inactive in the broccoli cells. It only gets activated when the tiny broccoli cells are cracked open (by chewing, for example) and come together with a specific enzyme which is hidden in other compartments of the cell. Heating destroys the enzymes, so the sulforaphane stays inactive and is useless. If you want to use frozen broccoli and still have all the advantages of active sulforaphane, buy fresh broccoli in bulk and freeze it yourself, without blanching it. Store bought frozen broccoli is blanched at high temperatures prior to freezing, so you can assume that at least a big part of the enzymes is dead. Admittedly, the broccoli in my picture was organic frozen broccoli which has been blanched prior to freezing. That's why the colour is so brightly green. The only fresh one I would have been able to get was non organic broccoli from Spain. There are many reasons for me not to buy conventionally grown vegetables from Spain. Basically, I just don't do it. So sometimes I have to do without all the enzymes, until I find organic fresh broccoli to freeze in bulk. Now, why do I talk about broccoli in a *sweet* low carb protein smoothie in the first place? 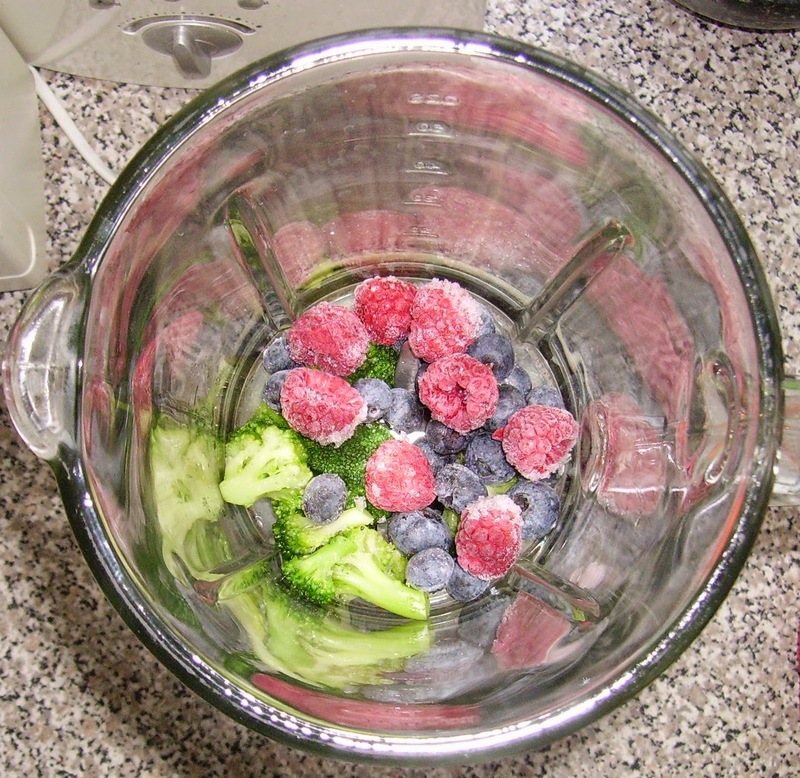 Because the combination of broccoli, raspberries and blueberries is not only healthy, but also yummy, believe it or not. Raspberries, btw, contain ellagic acid which is a strong antioxidant, too (it's in the raspberry kernels), and the blueberries contain anthocyanins, another strong antioxidant. I do love bananas, but I don't like the tons of sugar in them, so I don't think it is really useful to use lots of bananas in smoothies. One reason why I'm no fan of green smoothies - way too many carbohydrates and not nearly enough protein. 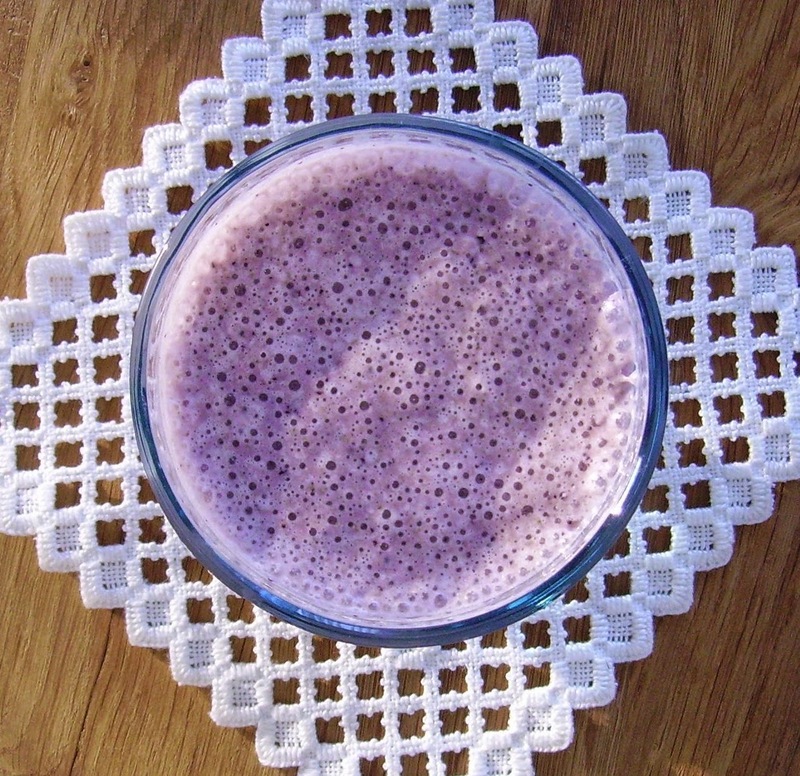 To make this smoothie, I use vanilla flavoured and stevia sweetened plant protein. 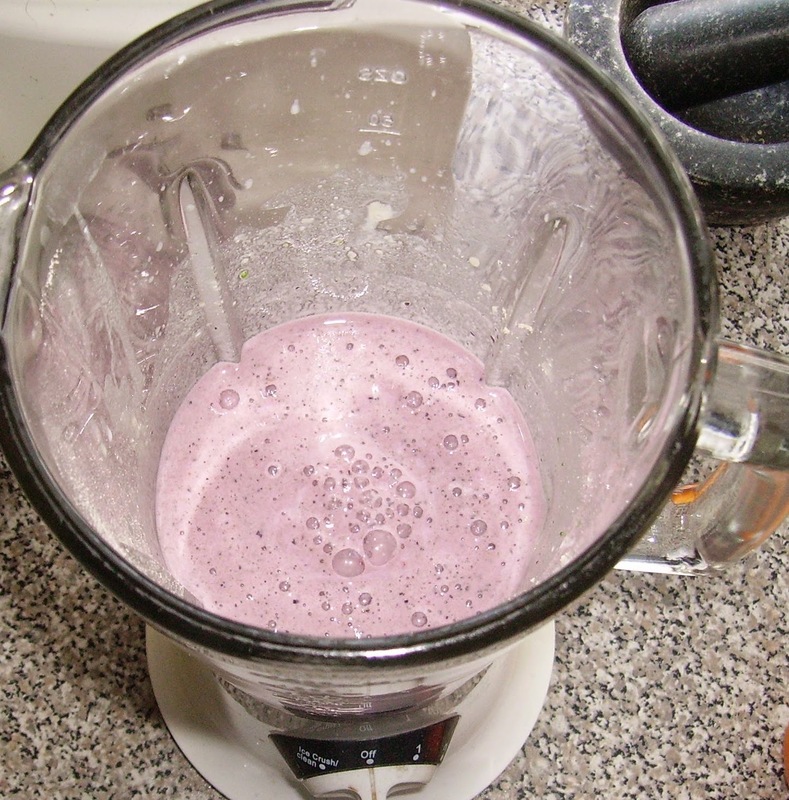 You can use neutral protein powder, too, but then you might want to add some sweetener. I'd use either stevia or xylitol to keep the smoothie low-carb. Also I use full fat coconut milk - fat instead of carbohydrates. If you're afraid of fat, and specifically of saturated coconut fat, I can assure you that despite the fact that I eat large amounts of it, my cholesterol is very low. The thing that raises cholesterol levels is not fat, but carbohydrates. 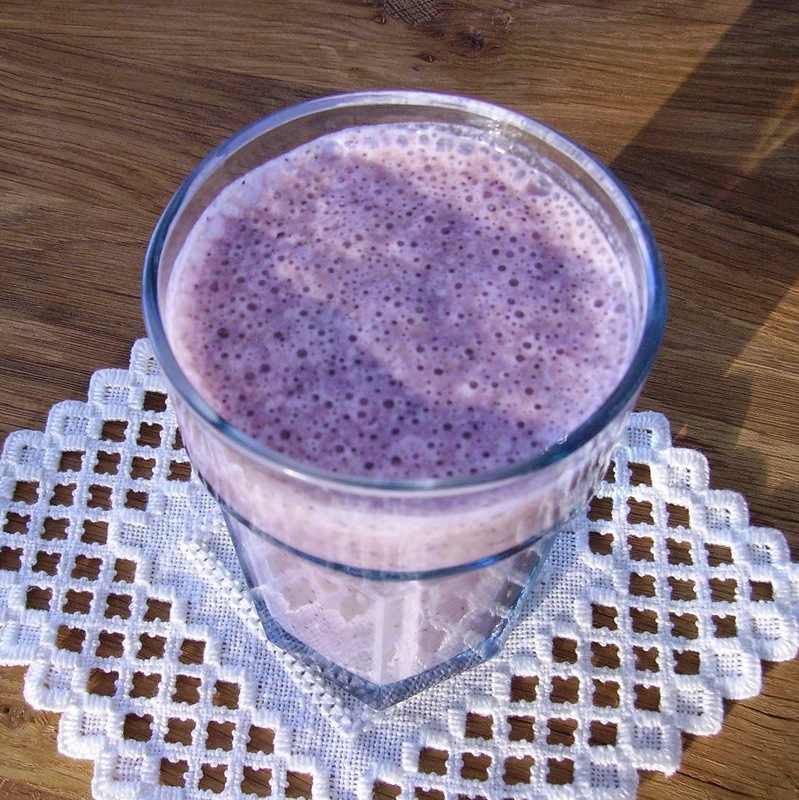 Now this smoothie will fill you up and keep you satisfied for a much longer time than any banana drink, because it doesn't elevate your blood sugar much and thus keep your insulin levels low.